This private brewery is keen to experiment: pale ale with mango, passion fruit, and lemon notes, stout with coffee and dark chocolate aroma, classical Weissbier with “Nelson Weisse Hopfen” from New Zealand. The fantastic speciality ‘oak aged beer’ matures in a whiskey oak barrel for nine months with traces of whiskey affecting the taste of the beer. 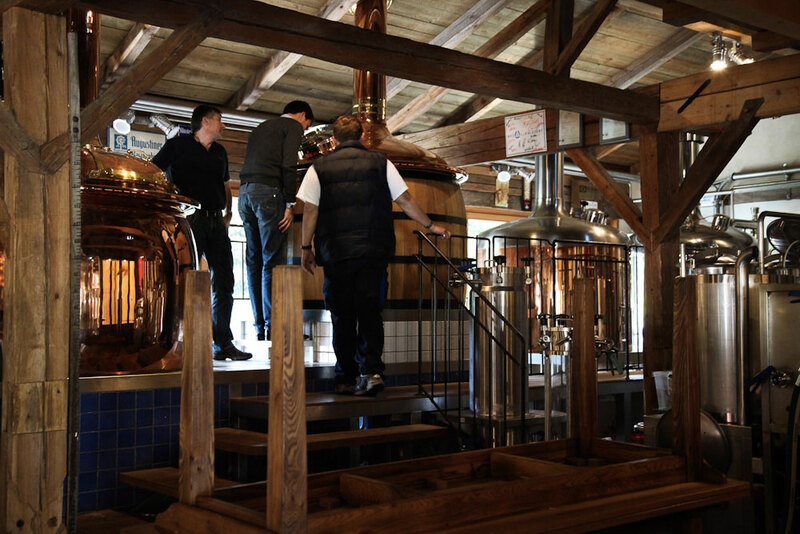 Specialized in worldwide brewing facilities, Camba opened its doors to the public in 2011 sharing their know-how during on-site beer tastings in the mill’s large guest area overlooking the copper brewing kettles. 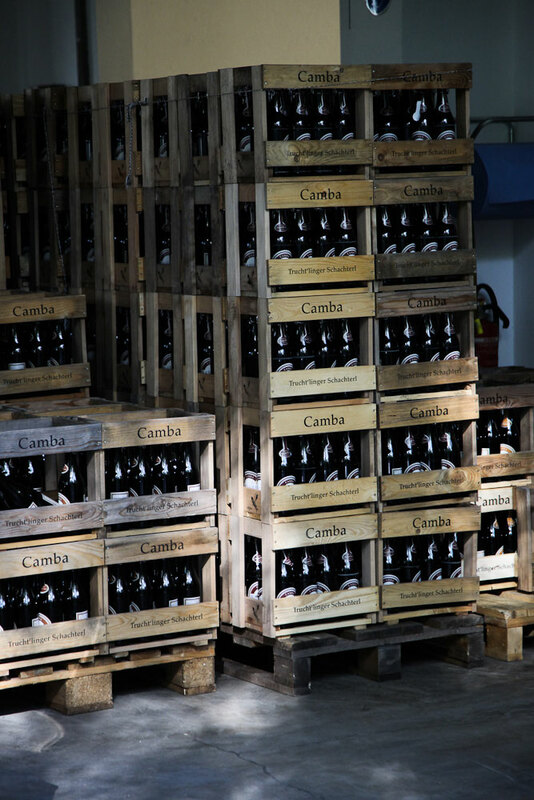 “Today, I will bake, tomorrow I will brew” has been Camba’s signature slogan for many years. 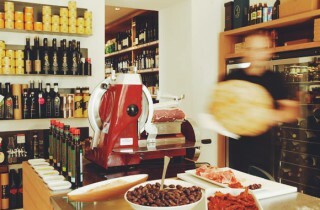 Everything you would need for that is in-house – including a stone baking oven. 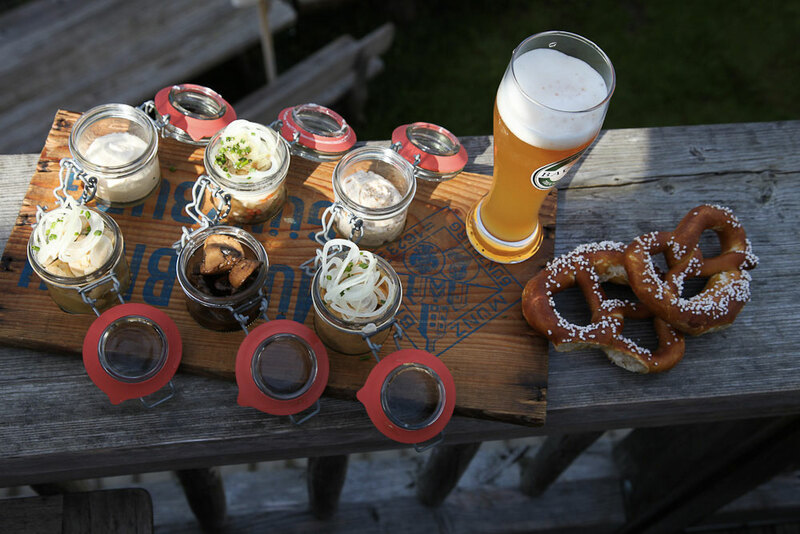 We recommend to just sit on the terrace or at the pond and enjoy Bavarian snacks along with your beer. To get a good idea of the food served here, we recommend trying the “Schmankerl für Zwoa” (treats for two): Obazda, Schwammerl salad (mushroom salad), vinegar dumplings, Haxerlsülze, salted beer butter and bread spreads (that can be bought at the deli too) are served in small jars. You can also buy the beer in single bottles, sealed with latches. Or in beautiful wooden boxes that are made in a workshop nearby. If you want to immerse yourself more deeply in brewing beer, you can take a tour and have the individual brewing steps explained to you. Discover many more tips in our book ”Eine perfekte Woche… im Bayerischen Alpenvorland” (A perfect week in the Bavarian Alps), and where to find things that are so typical for the region. Without searching for a long time you can discover one favorite place after another. 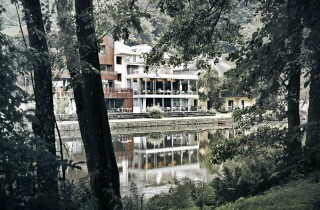 The right hotel, an unforgettable restaurant, a visit to a farmyard, a hidden location, a wonderful hike. The goal is not to see everything, merely the really authentic and special things. You will enjoy returning to these places, because they welcome you like old friends. 7 days Bavarian Alps in a nutshell, with photographs, addresses, interviews, recipes, portraits and activities. 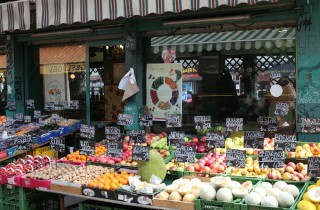 This entry was posted in EAT, LOCAL PRODUCTS. Bookmark the permalink.